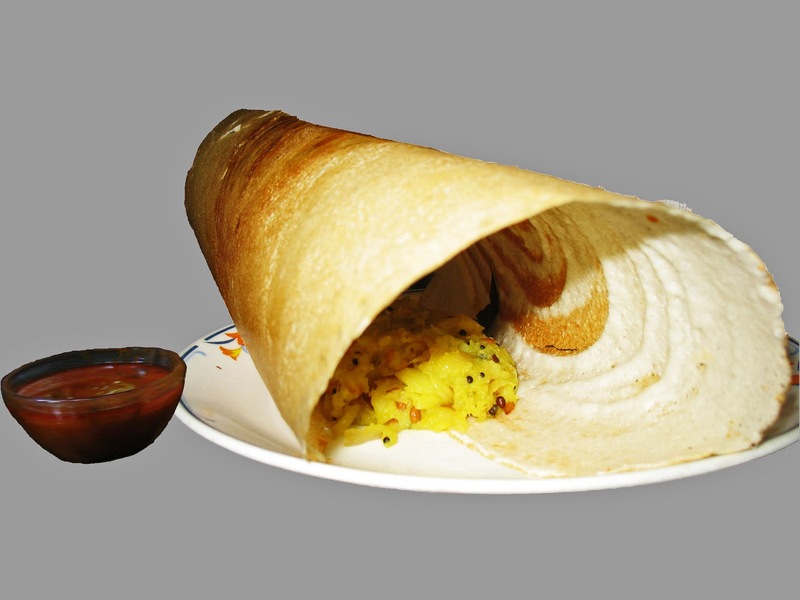 The two photographs below are of a popular dish from South India, Masala Dosa accompanied by a curry called Sambar. It is made of a ground mix of rice and lentils and the curry is a spicy lentil curry. The Dosa is stuffed with potato bhaji which has a bright yellow look because of the turmeric used widely in Indian cooking. 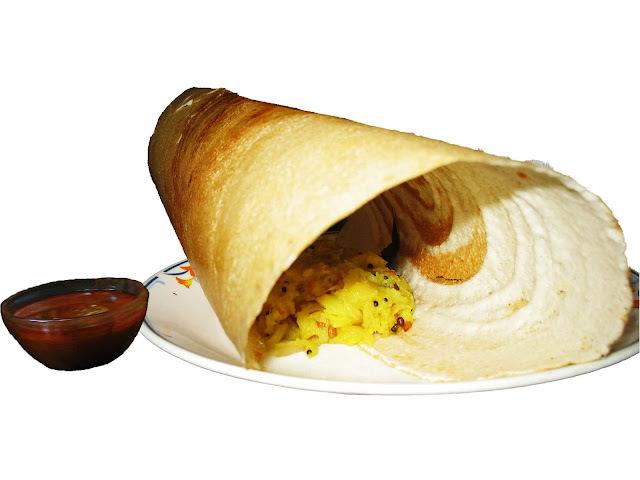 The first picture is a cut-out of the dosa and sambar bowl on a simple grey background. The second photograph is of the same dish against a simple white background. If you make a cut-out of any object in photoshop and save it as a Jpeg file then the background automatically becomes white. 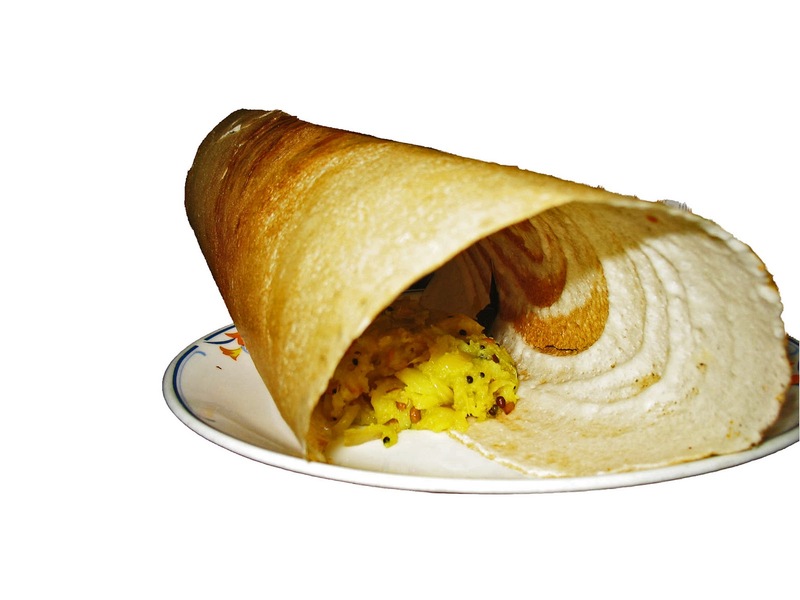 This last photograph is of the dosa sans the sambar. It is a cut-out against a white background. More pictures of Indian food: Indian Thali - typical Indian vegetarian meal or Bhel, an Indian Snack or Snacks from India or Chaat or savory snacks in India or Poha and Dahi vadas, a typical Indian breakfast from Western Indiacheck out all the photos filed under the label Food.